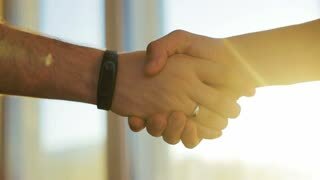 Search Results for "corporate handshake"
Business People Meeting Discussion Corporate Handshake Concept 20s 4k. Men are signing documents. Handshake of guys in suits. Employment in big corporation. Agree with the conditions. 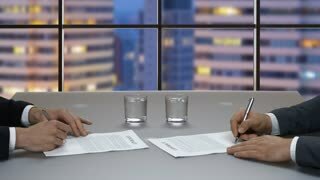 Man and woman shake hands over business agreement. 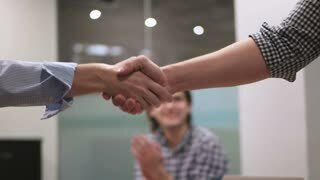 Start up business female entrepreneur making handshake deal with large corporate company for selling small business.